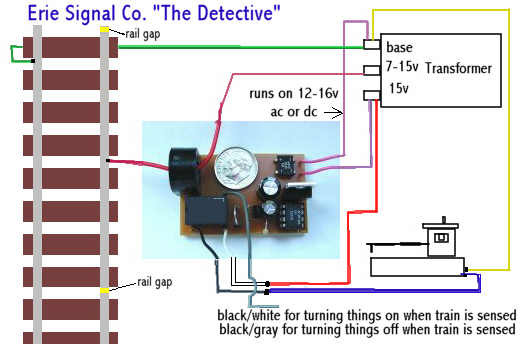 "The Detective" made by Erie Signal Company is available from Joe's Train Repair. 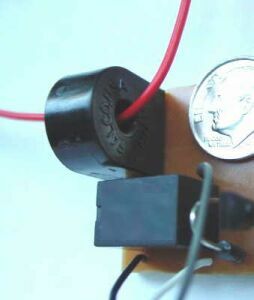 The wire (the track power wire shown in dark red in the above diagram) that is used to sense the current load, is not attached to the circuit board, it is passed through a current sensing element mounted on the circuit board. The back side of the circuit board is covered with 'double sticky' to help with mounting the circuit board. I tested it on AF and S-Helper equipment. It sensed both brands of Locos and illuminated Caboose as well. The circuit has a built in 2 second delay to prevent dropout due to dirty track or momentary loss of current.